I need to go to this new Harry Potter-themed bar in Toronto, like, immediately. Sure, I don't drink alcohol, but I don't care. I will order whatever their themed version of a Designated Driver special is (and they better have one, damn it), and admire the decor. 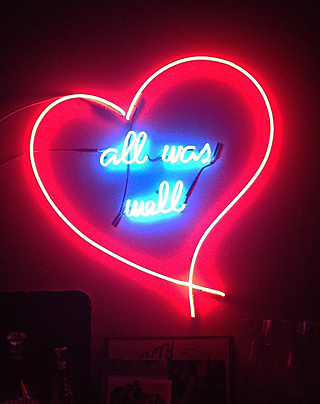 And maybe try to figure out a way to smuggle out their "All Was Well" neon sign, because that thing is sick. I covet it with all my heart and soul.